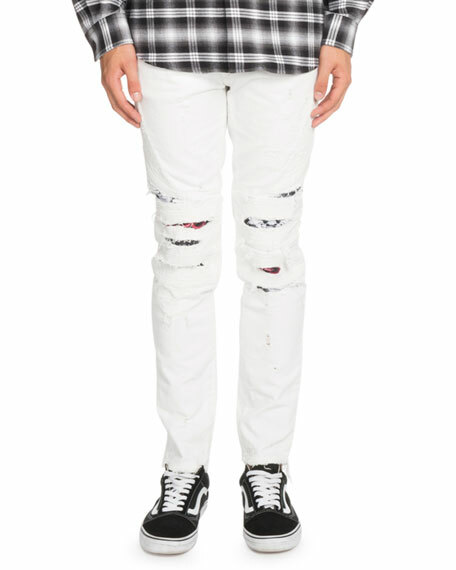 Marcelo Burlon distressed biker jeans with snake-print patches. Marcelo Burlon arrived in Italy taking the Milan fashion stage by storm. Known for his expressive, multicultural tees, Marcelo Burlon creates a kaleidoscope, inviting you to use your imagination. Graphic designer Giorgo Di Slavo develops the mesmerizing images for Marcelo Burlon tees. 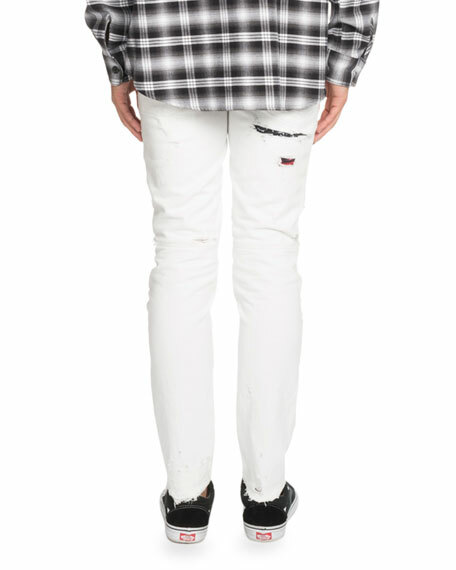 For in-store inquiries, use sku #2465992.